Moringa Oleifera provides 36 natural anti-inflammatories, 46 different antioxidants, active and bio-available enzymes, more than 90 phytonutrients, over 20 amino acids and a great amount of chlorophyll, omega 3, 6 & 9 oils, and minerals. What Is Moringa? It is very rich in mitochondrial sirtuins, a group of enzymes that exist in every cell of the body that divert energy into cellular preservation. The plant is a good source of vitamins and, in fact, provides 10 times the amount of vitamin A you would find in a carrot (gram for gram). Moringa leaves contain vitamins A, B1, B2, B3, B6 and B7 as well as vitamins C, D, E, and K.
In addition, it contains chlorophyll, carotenoids, cytokinins, flavonoids, omega (3, 6, 9) oils, plant Sterols, polyphenols, lutein, xanthins, rutin, zeatin and more. 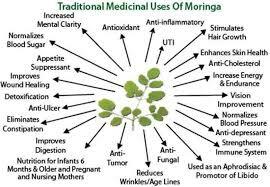 The nutritional benefits of Moringa have been valued for centuries in various parts of the world as a highly nourishing dietary food source. The leaves are one of those special green super-foods that exemplify the healing power of chlorophyll-rich plants. It is actually a tree species Moringa oleifera native to tropical climates where it grows rapidly producing a viable food for indigenous populations. This prize is a multi-purpose tree with all parts being usable either as a raw or cooked nutriment medicine or as a water purification additive. The leaves are typically the most common part used as an edible green, dried and ground into a powder that can then be added to various foods and drinks. The whole leaf powder is essentially a natural plant-based mineral amino acid and multivitamin complex, with an impressive array of nutritive components, extensively researched for its abundant micro-nutrients, with their primary role in the prevention of degenerative diseases such as cancer and cardiovascular diseases. Moringa also contains antioxidant properties and usefulness as a natural anti-inflammatory agent. Although used in the past as a traditional folk remedy for various health issues, government agencies in developing countries especially in parts of est Africa have taken steps in recent years to reintroduce Moringa cultivation to suburban villages suffering from malnutrition. Because of these efforts Moringa is now available to these communities for use as a vitamin mineral supplement that is extremely effective at balancing nutritional uptake needed for greater dietary balance. The leaves are harvested and steamed as a green vegetable but are also dried and ground into a powder used in sauces soups and cooked grains. The original species of Moringa is native to the himalayas of northwestern India. Sometimes called “shigru” grew it is famed in Ayuredic legends to prevent 300 diseases in some parts of India. The leaves and pods are still used as a household vegetable and ingredient in soups and chutneys. While Moringa has been used worldwide as a nutritional supplement in impoverished countries, it has only recently become popular for use as a health enhancing herb amongst modern industrialized societies Adding some kind of green powdered super-food to the diet on a regular basis can be extremely beneficial for short-term as well as long-term health. The ground powder from Moringa leaves is one of our top recommended options along with others like Vitaminearl Green and spirulina. Moringa is a simple, yet elegant looking leafy green tree, with drooping branches and tiny rounded leaves. There are up to 14 species of the genus Moringa, but Moringa oleifera coming from the family Moringaceae is thought to be of a higher quality. The Ethiopian Moringa stenopetala species from the same family is native to Kenya and also contains similar components to that of Moringa oleifera. All Moringa thrives in subtropical and tropical climate zones as well as hot dry climates but can be cultivated in many other parts of the world where moderate temperatures persist. It is a fast-growing plant and in the ultimate weather conditions the leaves can be harvested only two weeks after planting and will continue to produce edible leaves throughout the entire year. It is a drought-resistant tree and prefers sandy dry soil. What’s moringa? Although Moringa goes by literally hundreds of different names around the world, some of the common English nicknames are drumstick tree, or horseradish tree. These names refer to a certain aspect of the roots which tastes a little like horseradish, in the long bean like seed pod that resembles the shape of a drumstick. Permaculture is defined as permanent agriculture and is modeled from natural ecosystems. It is a sustainable food growing system that is eventually self maintaining, requiring little assistance from human hands. The Moringa tree has been used and studied extensively for use in permaculture design as a fast growing pioneer canopy species that can reach heights of up to 10 to 12 metres. It is also a nitrogen fixer that grows very well in degraded soils and helps to re-establish fertility encouraging the development of a food forest for the small-scale cultivation of other useful crops. Generally the Moringa tree is a Sun loving plant and can be grown in many non tropical frost-free locations around the world. It is known to adapt to colder temperatures below freezing especially after the first few years, but will usually go dormant in the winter months. In the U.S., it grows very well in climate zones 9 to 10 and thrives best in dry sandy soil. Moringa can be planted from seeds or from plant cuttings. 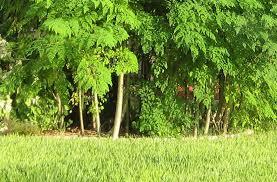 Although Moringa can grow quite tall, it can be pruned and kept as a low growing plant that can be easily harvested. In large scale cultivation, it is often cut back annually and allowed to regrow so the leaves remain within arm’s reach. 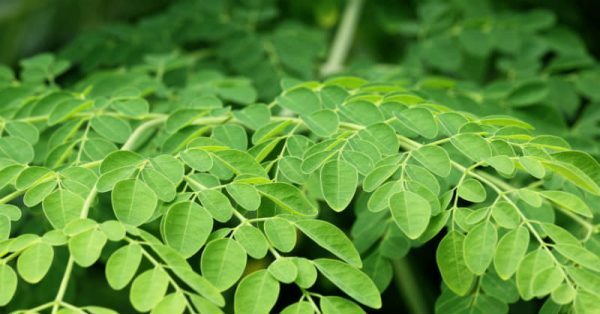 Not only can Moringa be grown, harvested and powdered to provide a nutritious garden produce multivitamin, it can also be used to create natural landscape fencing or use as a protective windbreak or shade canopy. 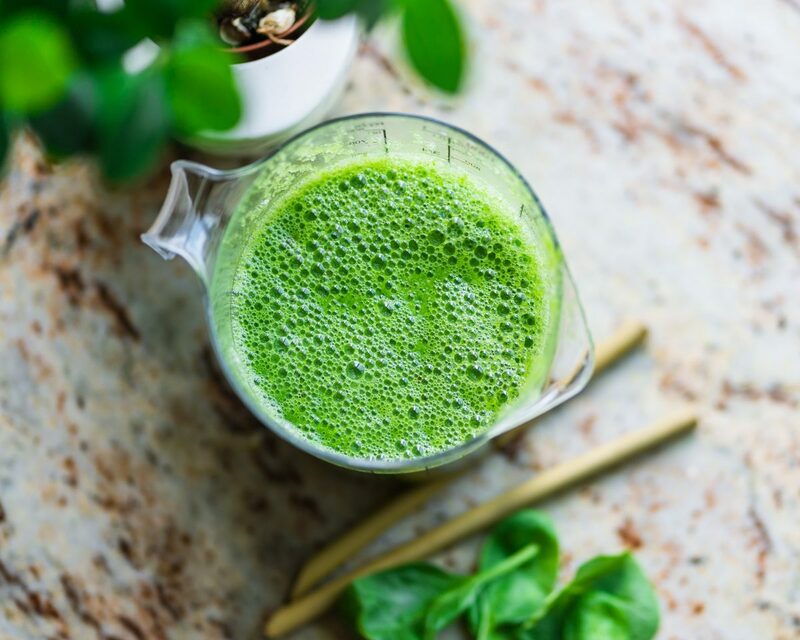 Whenever you provide the body with an influx of concentrated nutrients either through green juicing or green powder supplementation, you naturally feel energizing and mood boosting effects as a result. Consuming Moringa concentrate as a powder or in capsule form is naturally enlivening to the cells because of its purifying, alkalizing and nourishing properties. The body becomes saturated with essential vitamins and minerals that transfuse easily into the bloodstream where the chlorophyll component can further work to remove waste material and balance body pH. 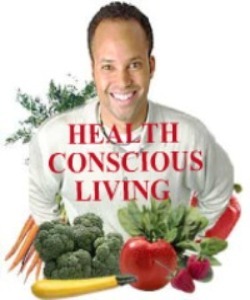 All of these properties function collectively to increase energy levels and can naturally help to enhance one’s mental attitude especially in mild to severely depleted cases. 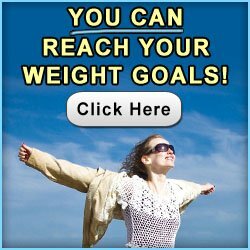 This is simply because complete nutritional needs are being satisfied providing for greater states of emotional stability and general well-being. 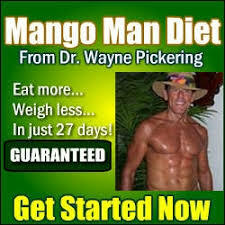 The benefits of Moringa powder comprise a full spectrum whole food vitamin mineral and amino acid profile. It is particularly high in selenium calcium iron vitamin E, magnesium and B vitamins, in addition to varying amounts of other phytonutrients and antioxidants, like beta carotene, and vitamin C. Moringa is a common ingredient used in plant based vitamin products for this reason. What Is Moringa Food, What Does It Taste Like? Moringa has a green savory taste a bit like a concentrated vegetable broth, it is best blended into foods and drinks or used as a seasoning. The leaves are especially high in protein about 38% and contain 18 amino acids including the 9 essentials: histidine, isoleucine, leucine, lysine, methionine, phenylalanine, threonine, tryptophan, and valine. Moringa leaves can be considered a combination nutritive herb and leafy green vegetable much like mallow dandelion nettle leaf other wild edibles or leafy vegetables. All of these greens can be dried juiced or made into a nutrient-dense powder to sprinkle on foods or blended into drinks. As we mentioned consuming green foods and their dried powdered concentrates can be significantly helpful for maintaining a balanced nutritional uptake during the course of a lifetime. Moringa can be one of those options for those of you looking for a single sourced plant variety that is not a member of the cruciferous vegetable family. For people with an underactive thyroid or hypothyroidism, some health authorities believe it is best to avoid large quantities of cruciferous vegetables like kale collard greens, bok choy, broccoli, sprouts and watercress. What is moringa good for? Because of Moringa’s exceptionally high nutrient profile, is particularly nourishing for the eyes skin and hair. High in the antioxidants beta carotene and vitamin C Moringa is a nutritive food for maintaining healthy eyes and vision it also contains sulfur based MSM and the sulfur bearing methionine and cysteine, amino acids, which support softer skin, thicker hair, and stronger nails, as well as healthy collagen formation, the main structural protein of connective tissue responsible along with keratin for skin strength and elasticity. Sulfur is nature’s -beauty mineral- is necessary for the generation of these beauty enhancing constituents, keratin and collagen. Keratin is made up of cysteine is further nourished by dietary uptake through Moringa consumption. 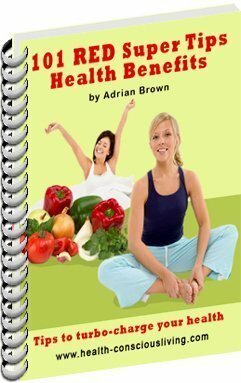 The benefits of Moringa have become known around the world in the last few decades as an effective way to eradicate hunger and malnutrition in third-world countries. Because the Moringa tree grows very well in poor soils and is virtually drought resistant it makes a very suitable food for undernourished populations living in harsh environments unable to grow other vegetables or food crops. 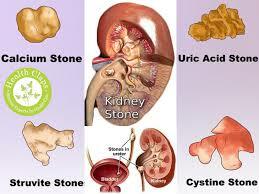 With its plethora of phytonutrients and other powerful disease-fighting antioxidants. The Moringa plant and its leaves have become a treasured sustainable food crop in regions of Africa India Central and South America Malaysia and the Philippines. Daily use of fresh Moringa of between one teaspoon to 1 tablespoon of the dried powder acts as a multivitamin supplement and provides an added source of protein which can have revitalizing effects on adults as well as malnourished young children. But this reason is often referred to as mother’s best friend. 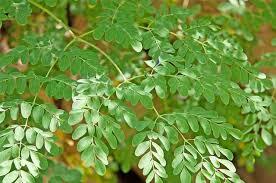 Moringa leaves can be eaten fresh cooked or stored in powder form for many months without the need for refrigeration. Additionally, the tree is a fast growing food source that under ideal conditions, continues bearing leaves throughout the entire year. In the news segment entitled America tree helps in Nigeria’s food crisis produced by the Australian ABC sponsored program called the world today several interviews were conducted with the native peoples of the Nigerian region analyzing the effects of Moringa cultivation. The juiced or powdered Moringa leaves sometimes called shigru are a popular Ayruvedic herbal supplement for treating joint inflammation pain aches and related arthritic conditions. This is due to its anti-inflammatory and analgesic properties. The high nutrient profile also provides for strong bones improves circulation to the joints and guards against bone loss and osteoporosis. According to various studies conducted in recent years evidence suggests the benefits of Moringa as an anti-inflammatory agent. This includes the leaves in addition to the seeds and roots of the Moringa plant. In the 2012 published animal study in the frontiers in pharmacology it states that “Extract from Moringa oleifera leaves have been shown to modulate humeral and cellular immunity in rats and mice. They have exhibited strong anti-inflammatory properties in rodent models of chemically induced inflammation of the paw. In another 2011 study entitled analgesic effects of methanol extracts of the leaf or root of Moringa oleifera, it was shown that the methodology extracts of the root or leaf of Moringa oleifera are effective in the reduction of pain induced by CFA in rats a comparison of single and combination therapies of root and leaf extracts also showed a synergistic effect on pain reduction. Inflammation is an integral part of a number of health conditions such as high blood pressure, obesity, diabetes and atherosclerosis. One of the benefits of Moringa as a green leafy vegetable is that it is a source of omega-3 fatty acids. Omega-3s and their derived oils are known to reduce inflammation in the body and help to counteract the effects of pro-inflammatory AAA fatty acids refined vegetable oils and grain-fed animal products. Moringa contains a rare combination of many other beneficial antioxidants such as the flavonoids and polyphenols quercetin and others. Many of these constituents act as anti-inflammatories as well as neutralize free radicals. With 46 different antioxidants, Moringa Oleifera is the best toxin cleanser of your system. It can have a laxative effect if taken in a large dose ( especially eating more than half dozen seeds one time). Our liver gets overwhelmed by the hepatotoxic chemicals such as toxins in food, pharmaceuticals, and environmental pollutants, and Moringa, due to its anti-hepatotoxic constituents, not only cleanses the liver but also have curative effects on many liver disorders. In addition, Moringa has anti-pathogenic properties and when you consume it, pathogens will die, fat will break down to release stored toxins. Then, the chlorophyll in the moringa will start to displace heavy metals stored in your body. As we mentioned the benefits of Moringa are extended to all parts of the entire tree including the roots, bark, seeds, whole seed pods, flowers as well as the leaves. Moringa is one of the most powerful health-enhancing plants. It is known to promote healing or to help the body to overcome more than 300 diseases, according to the National Institute of Health. Moringa has overwhelmed the scientific communities and numerous studies have confirmed its tremendous health restoration potential. It has been used to treat conditions such as malnutrition, arthritis, rheumatism, anemia, cancer, diabetes, epilepsy and stomach complications such as spasms, ulcers, stomach pain and constipation. 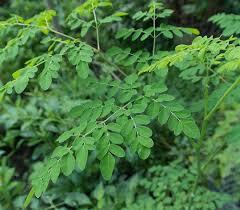 Moringa can boost the immune system and can increase the production of milk in lactating mothers. The Moringa has been found to act as powerful anti-inflammatory (It naturally contains 36 types of anti-inflammatory agents), anti-fungal, and anti-cholesterol. When taken on a regular basis, Moringa can normalize blood pressure and blood sugar. Moringa seeds are commonly used for three main purposes besides growing another Moringa tree. The seed itself is a rich source of oil often called “Oil of Ben,” and can be extracted in an oil press for consumption or used in body products. Fresh mature seeds can also be cooked and eaten like peas. The seeds contain two natural antibiotic and antifungal compounds called pterygospermin and benzyl isothiocyanate, and are used to treat or eliminate bacterial infections. The crushed dried seeds are additionally used as an effective way to purify water in underdeveloped countries. Depending on water quality between 50 to 150 milligrams of ground Moringa seed is enough to treat one liter of water. The Moringa tree produces seed bearing fruit in the form of long drumstick shaped bean pods common to most nitrogen-fixing plants. Both the mature and immature pods can be in light green beans, but are generally more palatable when young and tender. The root can be prepared as a tea or extract and is used for medicinal purposes as a home remedy for inflammation, author etic pain and joint related health issues. The roots of young plants are also consumed as a grated horseradish substitute. Moringa root should be used in small amounts for medicinal use only as has been shown to have toxic effects when used in excess. – this is the dried leaf that can be further ground into powder form or used directly as a nutrient-rich tea. – this is the fine powder produced from the dried Moringa leaves. – this is the ground whole Moringa seeds as well as the leaves. – the leaves can be harvested and used fresh like a leafy vegetable. – usually an alcohol tincture made with the leaves seeds or roots of the Moringa oleifera plant species. – prepackaged teas of leaf or powder. Ideally you want to purchase raw organic pure Moringa leaf or powder that does not contain any fillers preservatives or artificial ingredients. Fresh Moringa of course can be consumed as a leafy green vegetable, eaten raw and salads, green juice like wheat-grass, or lightly steamed. The young shoots are more palatable as a vegetable than the older, tougher leaves. The powder is very strong and has a savory taste, similar to vegetable broth. It is best to use blended into soups, stews, grains or sprinkle over meals. When combined with sweet fruits it can also make a great addition to a green smoothie recipe and is further enhanced when blended with other super-foods. If you have access to large quantities of Moringa leaf, you can also make your own powder concentrate by stripping off the leaves and allowing them to dry on a screen for a few days in a dark dry location. Drying the leaves in this way preserves the nutrients it is helpful for extended storage and use. The benefits of Moringa can also be enjoyed as a savory cup of tea by either infusing the fresh or dried leaves or powder in hot water. The tea can be soothing for gastric ulcers inflammation diarrhea and help stabilize blood sugar levels.